After spending 2 nights in Ningbo, we took a train to Shaoxing. Prior to this trip, H & I were in a dilemma where to spend the third night. We choose Shao Xing in the end because it was along the way to Shanghai. Planning a trip to Shao Xing was a challenge because information were limited. We have no idea what to do there until we reach there. After we check in to our hotel @ Holiday Inn, we visited the China Yellow Wine Museum. Located in the eastern of Zhejiang province, Shaoxing is popular for its wine. Thus, we made our way to the China Huangjiu Museum. The museum had showcase the history of wine and the occasions it is used. Although the museum is not as grand and informative as the ones we had visited, we thought it was quite interesting. 女儿红 and状元酒 came about when the a newborn arrived in the family. Then, the parents would keep the wine until the day the daughter got married or when the son graduate and become a scholar状元. The entrance ticket includes trying of 2 types of wine. We tried and didn’t not know how to appreciate as much as the Chinese does. It was too sweet for our palate. Later in the evening, we visited Xun Bao Ji restaurants in Shaoxing. Xun Bao Ji is highly recommended in Dianping and famous for its Shaoxing crusine. We went there early and was lucky to get a seat. Before we leave, we heard the waitress telling the diner to wait for another 1.5 hours. Xun Bao Ji is famous for its 三鲜汤 (seafood soup) and 臭豆腐 (smelly beancurd). We skip the seafood soup and try others that were also highly recommended. We ordered the braised pork with bun and it was tasty but nothing special. As for the smelly beancurd, it is very crispy but a little tasteless. Other dish includes drunken chicken and traditional kueh to try. Despite the good review, we thought that the food was mediocre after trying the food in Ningbo. To be honest, we were a little disappointed. There are not many things to do at night in Shaoxing, so we took a stroll near our hotel. There are a few shopping mall and a park overlooking a small canal. We walk past a group of elderly playing music with their Chinese music instrument. 50m from the Chinese band, there were a group of elder ladies dancing. Definitely a beautiful night to remember! The next morning, we had our breakfast in the hotel and visited the home of famous writer Lu Xun- 鲁迅故乡. To be honest, I didn’t know who is Lu Xun until I visit Shao Xing. 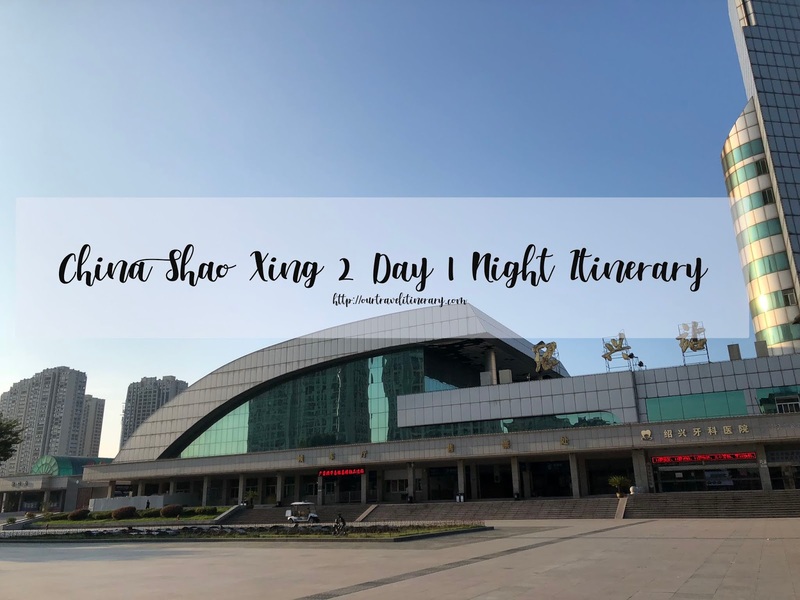 It was the number 1 attraction in Shaoxing, so I thought we should visit and see what’s the hype about. Lu Xun is a very popular writer in the early 1900. He published his first book – the mad man diary and has won many accolades. His writing has a huge influence on the Chinese literature and culture. 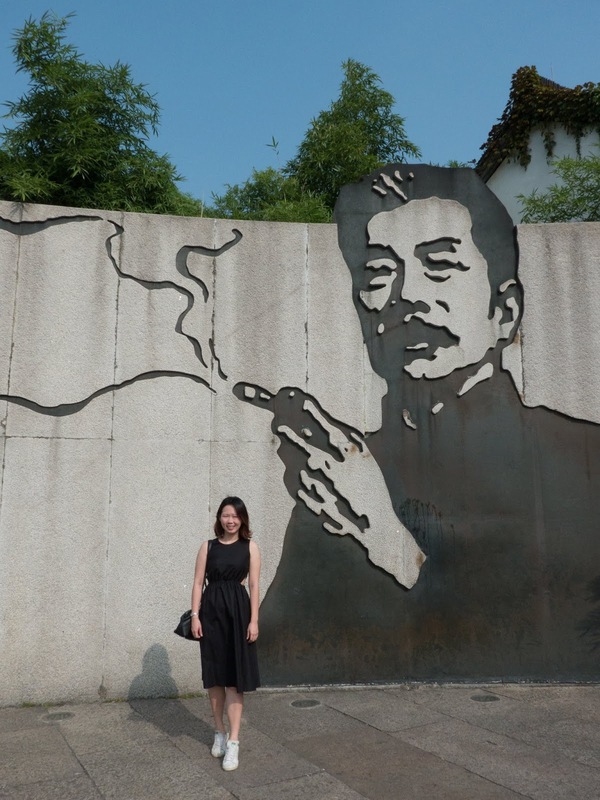 Unfortunately, I didn’t have a great time there because it was very crowded with bus loads of tour buses and I didn’t know much about Lu Xun then. If you are planning to visit that place, perhaps reading up his book or even listening to the podcast of his work here would be good. After our visit to Lu Xun, we visited Nong Xiao Shi Tang (农校食堂) for lunch. Initially, we were planning to leave Shao Xing for Shanghai after our visit to Lu Xun Old Residence. Thankfully, one of our didi driver recommended us 农校食堂. He too, finds that Xun Bao Ji is over rated. We went in and found ourselves visiting the old school restaurant. They do not have a menu so after you walk in to the restaurant, the staff will guide you to a large table that displays all the ingredients that they use to prepare each dishes prepared in plates for the respective dish, there are also pictures of the completed dishes on the wall for easy selection. You just have to point or tell the waiter what you want to eat and they will pick up the plates of ingredients to prepare the dish. There is no price list for each dish, so be sure to ask. Afterward, they will serve the dishes to you. Since we didn’t eat the seafood soup 三鲜汤at Xun Bao Ji, we decide to try it here. We were surprised when the "bowl" of seafood soup was served. The size of the soup was bigger than our face and needless to say, it is very tasty. Plus, its 60 RMB for the huge bowl of soup. Definitely a place for the local. Thankfully we did not order other stuff because we can’t even finish the soup. The ladies at the restaurant were very kind. They gave us free dessert but we since we can’t finish the soup, we decline the dessert politely. Feeling satisfied, we left for Shanghai. Although the time spent in Shaoxing is short, we had a good time there. Thankful to experience the simple and laid-back vibe that Shaoxing had to offer.